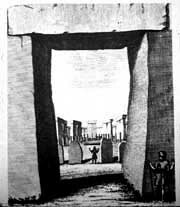 Like Lockyer's Stonehenge and Other British Stone Monuments Astronomically Considered, William Stukeley's 1740 study of Stonehenge stands out among the huge number of books on the subject. Stukeley was a pioneer preservationist. He lamented the callous treatment of the majestic ruins both by tourists and landholders. He coined the term 'trilithon' for the doorway-like arrangement of three stones, now common in the literature about megalithic architecture. Stukeley was one of the first to make accurate drawings of the site. The three dozen illustrations to this book, which show Stonehenge from every angle and document its context in the 18th century landscape, are still used today by scholars. He also did some rudimentary archeology, and describes opening the grave of a warrior princess. Stukeley's Stonehenge was intended to be the first volume in a comprehensive study of universal history, which he never completed. He believed a pure form of Christianity was the original religion of mankind, which had been subverted by idolatry, and finally restored by Jesus. Stonehenge was a temple of this primordial patriarchial religion, built by immigrants from the Near East, possibly Phoenicians. They became the progenitors of the Celts, founded the Druid religion and built the mysterious standing stones. 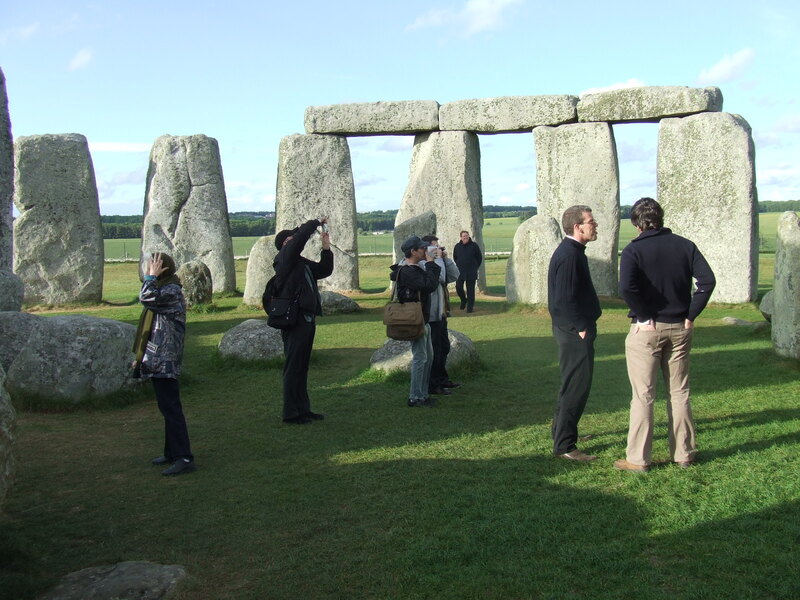 (Today scholars believe that Stonehenge was constructed by an indigenous, pre-Celtic, pre-Druid culture). It is remarkable that two centuries later Lockyer also propounded a theory that Stonehenge was built by immigrants from the Near East. Also of note is Stukeley's discovery of vast linear features in the vicinity of Stonehenge. This of course anticipated Watkins' ley lines. He points out one case where these lines have Roman roads constructed over them, indicating that they could not be Roman in origin. He describes a huge oval track in the landscape, which he hypothesized was an ancient horse race course! Stukeley also proposed that the builders of Stonehenge used a standard measurement, anticipating the 'Megalithic yard' which was suggested in 1955 by Alexander Thom. Stukeley was adamant that Stonehenge was pre-Roman (a view held by some at the time). He believed that it was constructed about 460 B.C. (currently it is believed that it dates back as far as 3000 B.C.) He arrived at this date by assuming that the builders had a knowledge of the compass, and by extrapolating variations in magnetic north, which he incorrectly assumed occillated in a regular pattern (today we know that the magnetic North pole moves somewhat at random). However, this was one of the first attempts to associate the alignment of the monument with some natural phenomena, and to use it to date the structure. Stukeley's book has been long out of print, although a facsimile of it and his Avebury was published by Garland Press in the 1984. This edition was used as the copytext for this etext. This etext retains the original text, spelling and italicization with only one change: the 'long s' has been consistently altered to 'f'. With this change, the book is surprisingly accessible and makes a fascinating read.